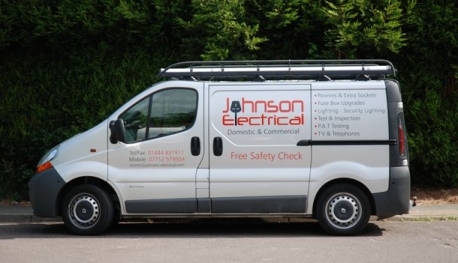 Welcome to Johnson Electrical a local business based in Haywards Heath, West Sussex. We pride ourselves on our courteous, reliable, friendly and professional service. Johnson Electrical is a member of the NICEIC Domestic Installer Scheme, this gives you total peace of mind that you are using a professional company who are committed to completing work using all the latest Electrical Regulations. All electrical installations require testing to meet the requirements of the IEE wiring Regulations. We have the latest safety testing equipment to ensure all the work we have carried out is 100% safe. Our work is mainly based in and around the Haywards Heath and Mid Sussex area. We provide a wide range of services from extra sockets, to sophisticated installations in both the Home and Office. Most of our customers are Home owners but our clients are diverse and include property developers, small businesses, restaurants, bars, offices, and retail shops amongst others. Below you will find some of the many services that we offer to our customers.